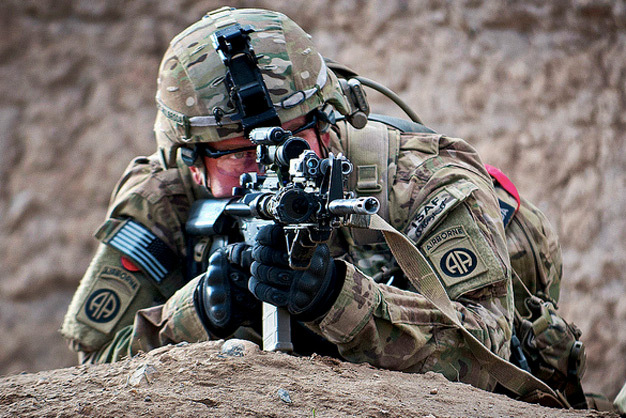 A paratrooper with the 82nd Airborne Division’s 1st Brigade Combat Team, pulls security during a combined US–Afghan clearing operation on April 28, 2012, in Ghazni province, Afghanistan. He is set up in the ruins of an old kalat, or mud-wall building. US Army photo by Sgt. Michael J. MacLeod.